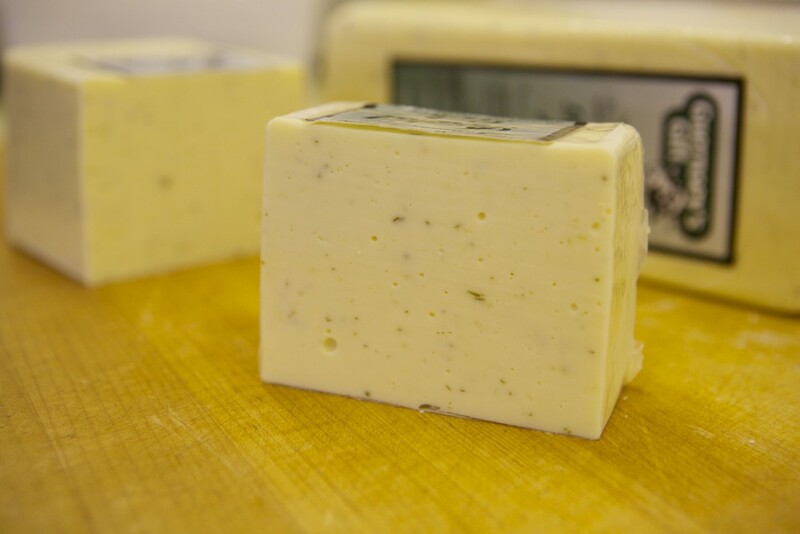 A mild, nutty flavor and creamy texture is what makes Amish Swiss stand out. 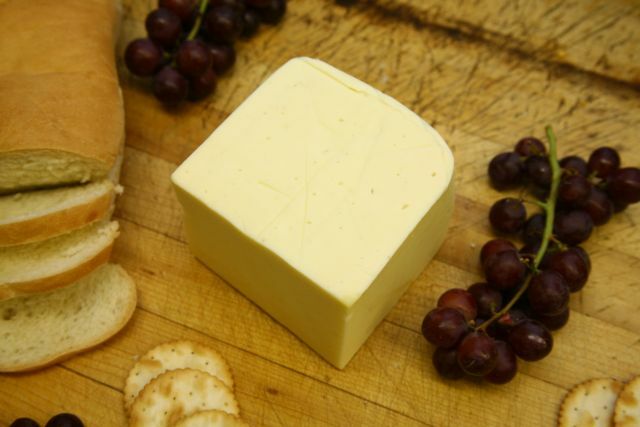 Its smooth consistency and distinctive flavor is perfect for ham & cheese sandwiches, for snacking, or for cooking. 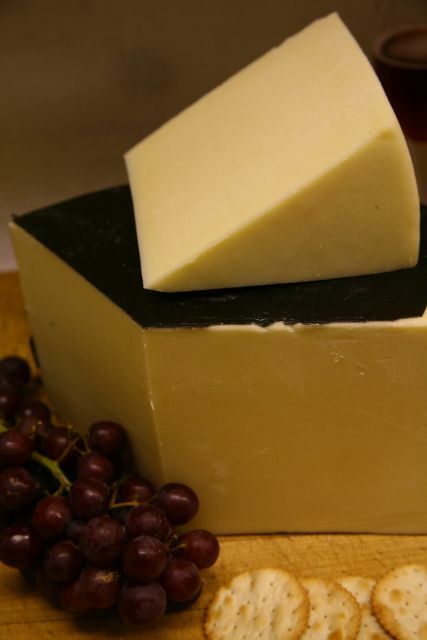 Amish Sharp Cheddar is aged for 2 years and is a great option for those looking for a moderately sharp flavor that is not over the top. This cheddar is both crumbly and smooth. 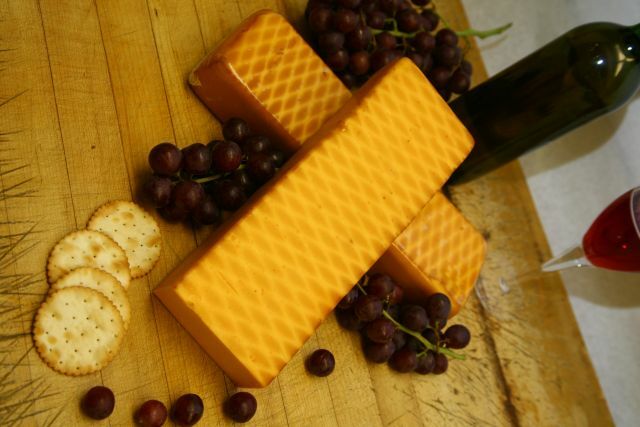 Serve at room temperature with wine and crackers for the ultimate burst of flavor. 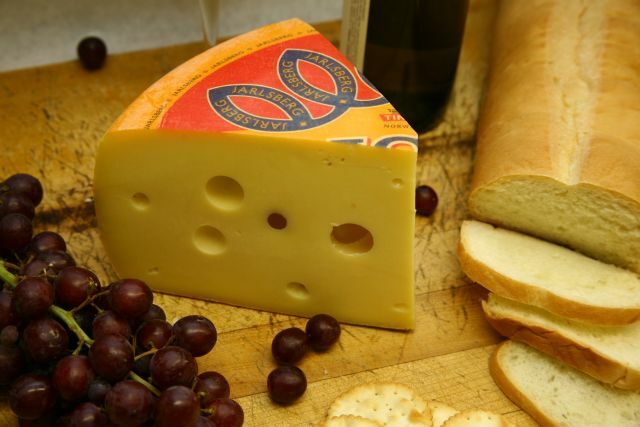 Jarlsberg is a traditional, hard, Norwegian creamery cheese. 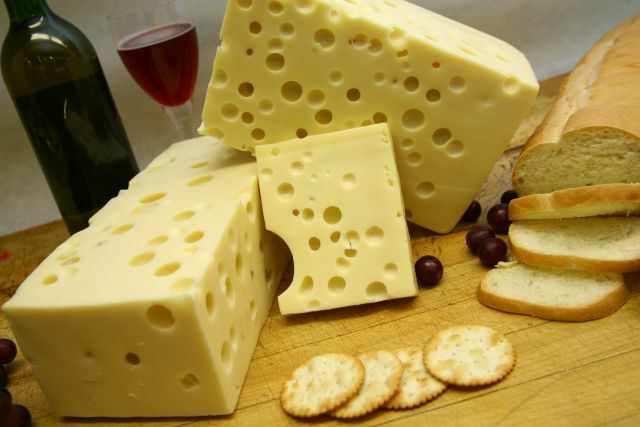 The world's most famous Baby Swiss, Jarlsberg has the consistency, texture, and hole formation of swiss. However, its flavor is sweeter and more nut-like. 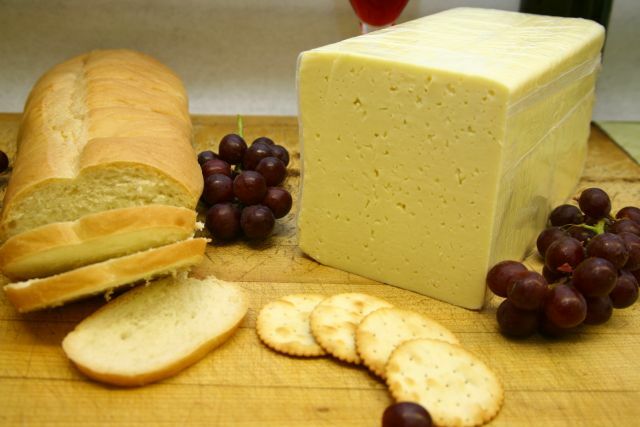 Can be used as a table cheese, dessert cheese or sandwich cheese. Serve it with wine and crackers! If you are looking for a mild table cheese, this is the one for you! Part of the Colby family, this cheese is perfect for sandwiches, cubing for salads, or simply snacking with hard pretzels. Made in the region of Vicenza and Trento, this is a traditional farmhouse hard cheese. A long and slow maturation process creates a nutty, slightly sharp cheese with a compact, granular interior full of small holes. Can be grated and used as a condiment. This is a white cheese with blue veins and sometimes crumbly interior. This cheese has a tangy, piquant, spicy, and peppery flavor. Use as a salad dressing or with cream cheese for a spread. 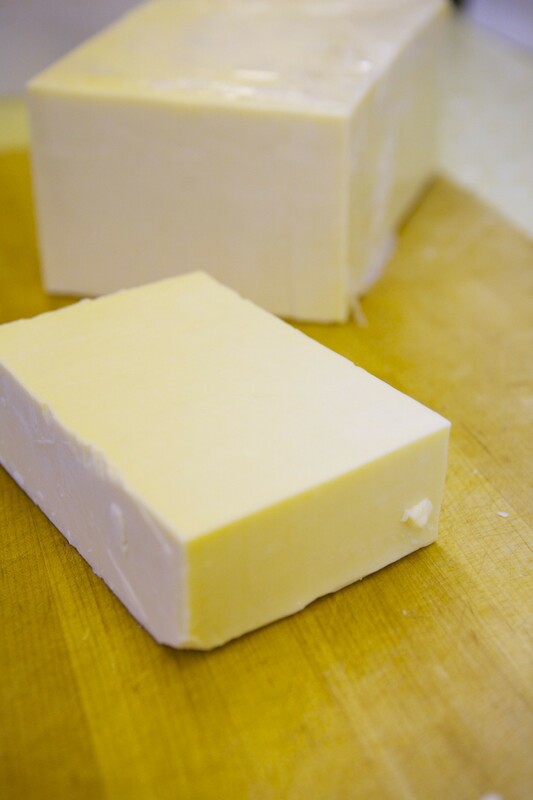 Havarti is a traditional, semi-soft cheese. Has added cream which softens the cheese for a more luxurious flavor. Has irregular holes throughout. This is the same cheese as the Creamy Havarti, but has dill mixed throughout. 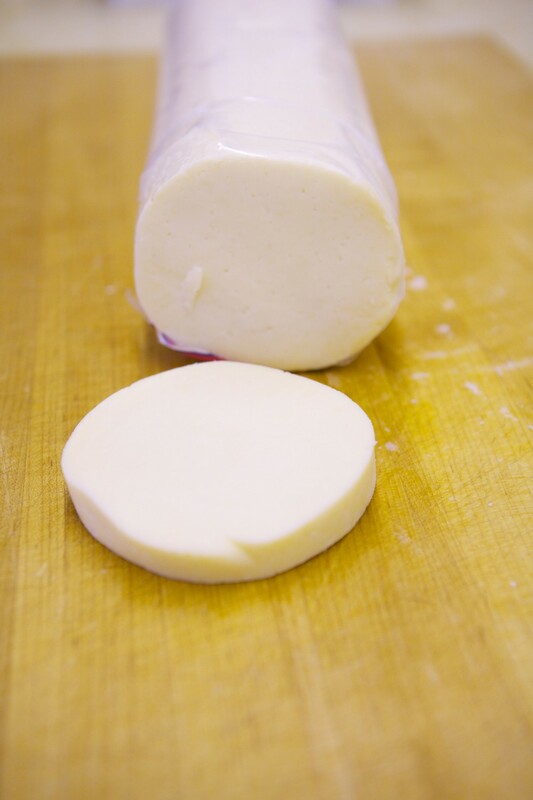 A traditional, creamy, semi-soft cheese. Has added cream for a more luxurious flavor. 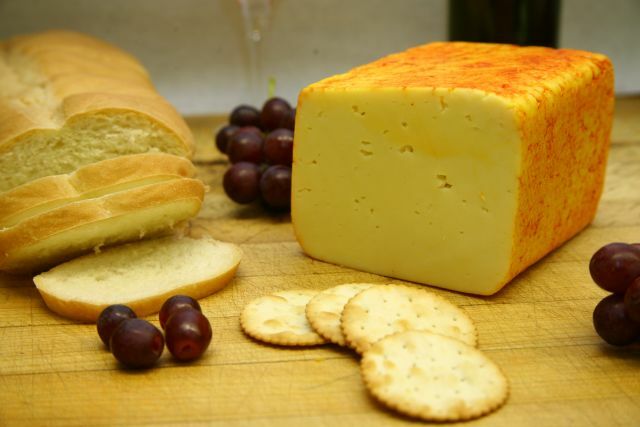 Muenster is a creamy American Cheese that has an orange rind with a white interior. Has a very mild flavor and smooth, soft texture. Melts very well, and is often used for meals such as grilled cheese sandwiches and tuna melts. 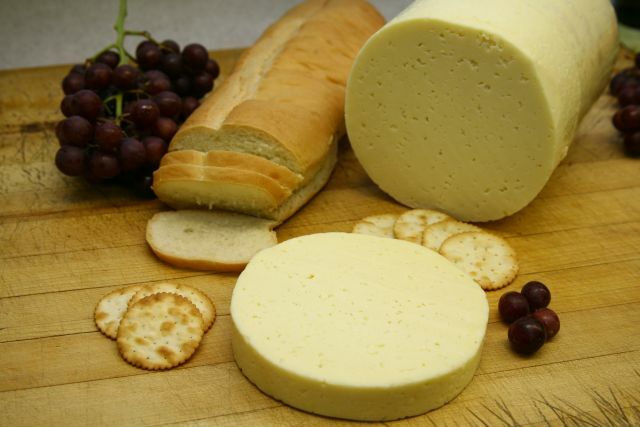 Part-skim milk makes Farmers cheese a low-fat option that does not sacrifice taste. 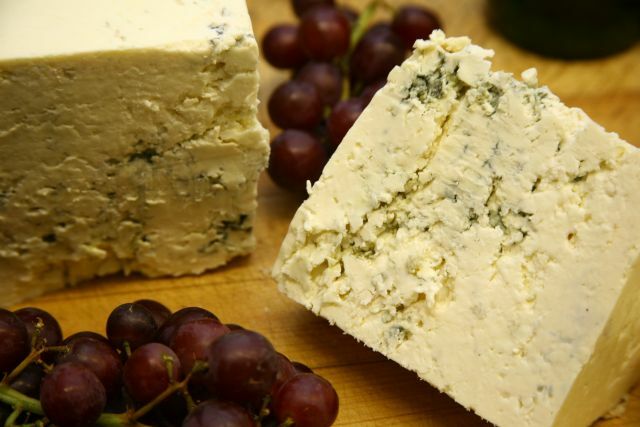 Farmers cheese mild taste and moist texture make it a great substitute for ricotta or mixed with roasted red peppers, sliced olives, and fresh herbs to make a tasty dip. Cheese lovers rejoice! 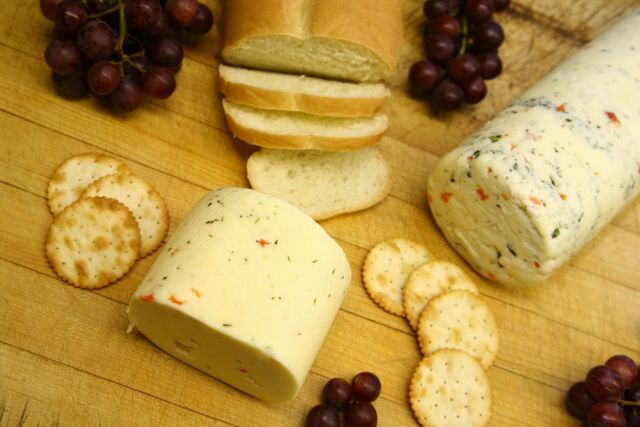 Farmers cheese is a low-fat option for cheese lovers who are counting calories, but do not want to sacrifice flavor. The garden vegetables infused into the cheese help boost its flavor, while the part-skim milk reduces the fat content. 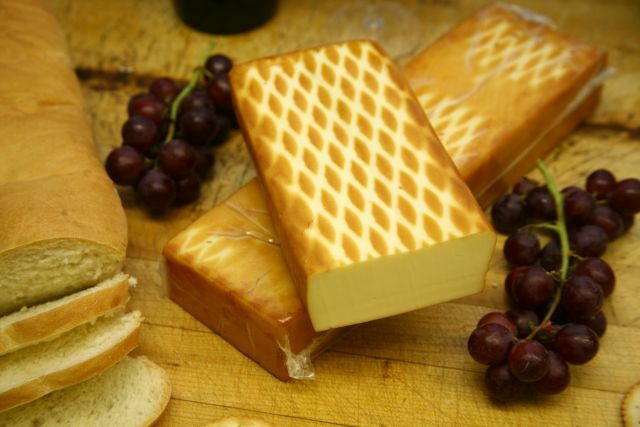 This soft cheese is perfect for slicing or cubes. Use on a sandwich, melt over a hamburger, or simply enjoy as a snack! 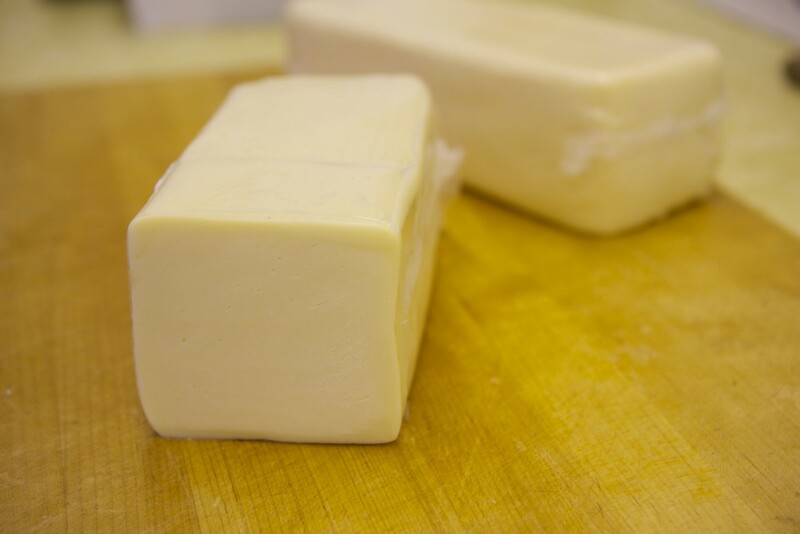 Fresh ground horseradish mixed with a mild, creamy cheddar packs a pungent flavor horseradish fans will love. 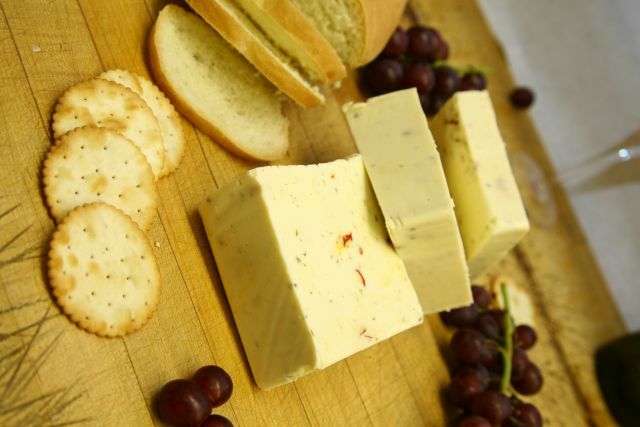 Enjoy the tasty combination of horseradish and cheddar with crackers and wine or simply as a snack. A horseradish lovers dream! 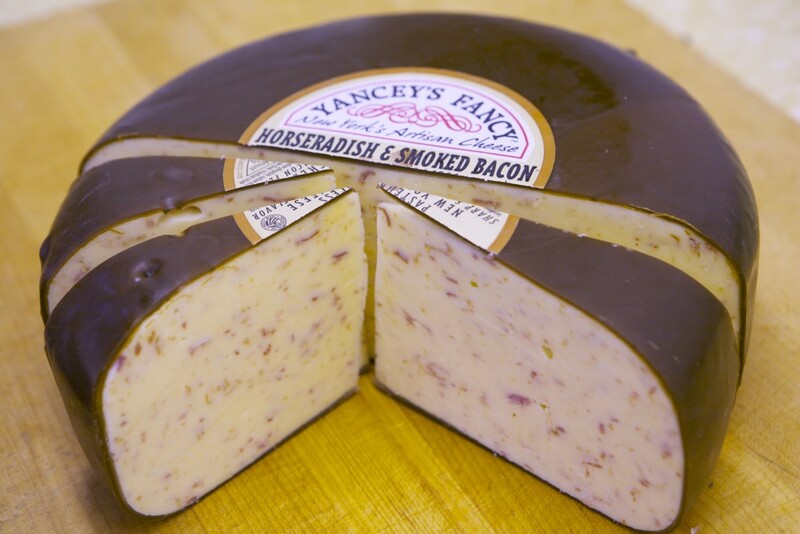 Genuine cheddar cheese with real ground horseradish blended throughout is smoked with hickory wood. Get that breath taking punch of horseradish and a smooth smoked flavor at the same time. Perfect for roast beef sandwiches, burgers, or paired with a glass of your favorite wine. Hot, hot, hot! Habanero peppers, jalapeno peppers, cayenne peppers, and hot wing sauce give this cheddar a seriously spicy flavor. Much spicier than hot pepper jack cheese, buffalo wing cheddar is sure to set your mouth on fire! Enjoy with pretzels, crackers, on a sandwich, melted over a burger, or grated for a spicy taco topping. Hot pepper jack packs the flavor spicy food fanatics crave. Hot peppers mixed into an American cheese base adds a nice kick to any most dish, and is ideal for shredding over tacos or quesadillas or to add a spicier component to a cheese tray. A crowd-pleasing, velvety smooth mild cheddar that is smoked with real hickory wood, not artificially flavored. Great melted on burgers, paired with crackers, or for a party tray. This low-fat, low-sodium Swiss is a great alternative from regular Swiss cheese for anyone who is on a diet or is watching their salt and fat consumption. Has small holes throughout. Use it for sandwiches, or a table cheese. Hickory smoked bacon mixed throughout a mild cheddar is a super tasty treat! Get that wonderful smoked bacon flavor and smooth texture of the cheddar all in one bite. Perfect for burgers, melts, sandwiches, or cubing for party trays. 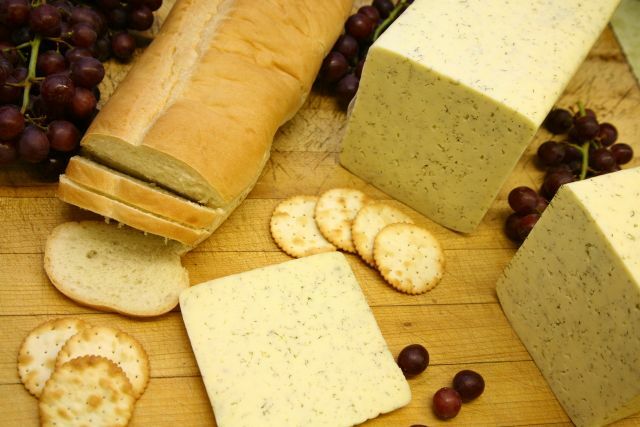 This smooth, creamy cheese is hard to find and very unique. Mild cheddar makes up the base cheese, and garden onion is mixed throughout. Nothing hot is in this cheese. The onion flavor is very mild. Most uses are for burgers, sandwiches, party trays, and table cheese. This is a part-skim milk mozzerella cheese. Great for making homemade pizza! Or great on sandwhiches. This is a soft, rubbery like cheese. This is not the fresh mozzerella that comes in a brine. This is a base cheddar cheese that has roasted garlic mixed into it. If you like garlic you'll love this cheddar! 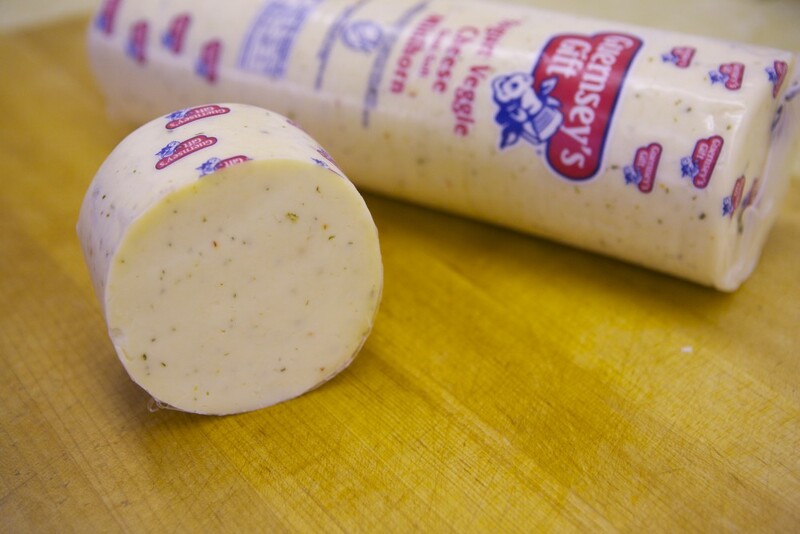 Great for cheese trays, burgers, sandwiches, or whatever you like. Garden vegetables and yogurt cultures make this a lower fat Colby style cheese. Vegetables such as peas, carrots, and celery give this mild cheese a delightful flavor for those looking for something tasty, but not spicy. Low-fat doesn't have to mean low-flavor. Made with yogurt cultures, this cheese is flavorful, but is still lower in fat than regular Longhorn cheese. 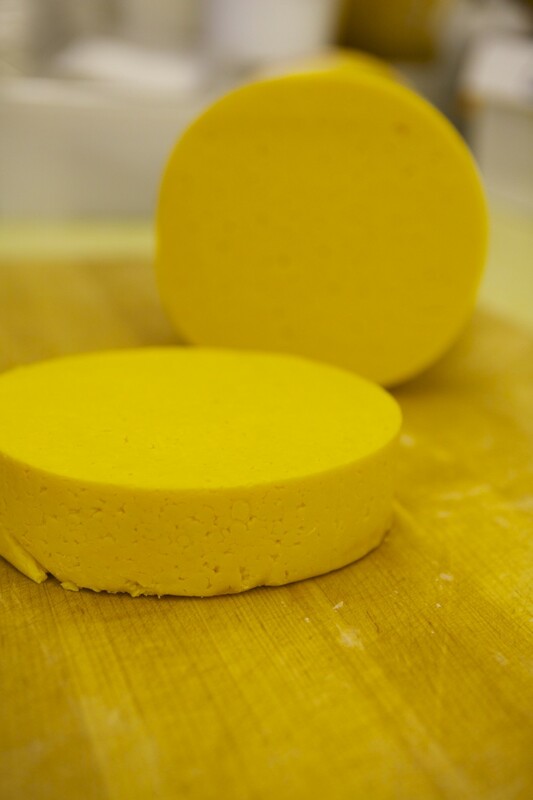 This cheese is in the Colby family and is similar to cheddar, but is milder, softer, and moister. Excellent when sliced for sandwiches or cut into cubes for a cheese tray. Yellow longhorn is a form of a cheddar. It has a mild flavor. It is great for cooking, or simply enjoying with your favorite snack. Has a creamy texture that is very smooth. 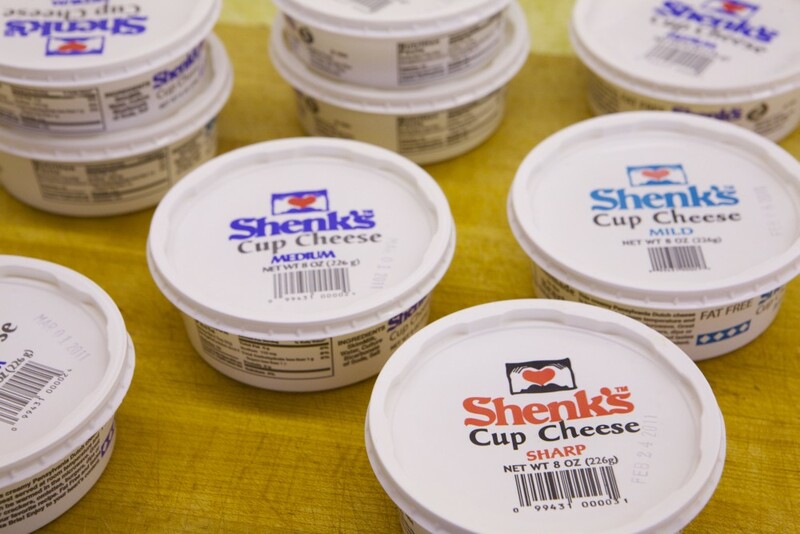 Shenk's Cup Cheese is a unique cheese spread that is Fat Free!! It comes in three flavors. Mild, Medium, and Sharp. 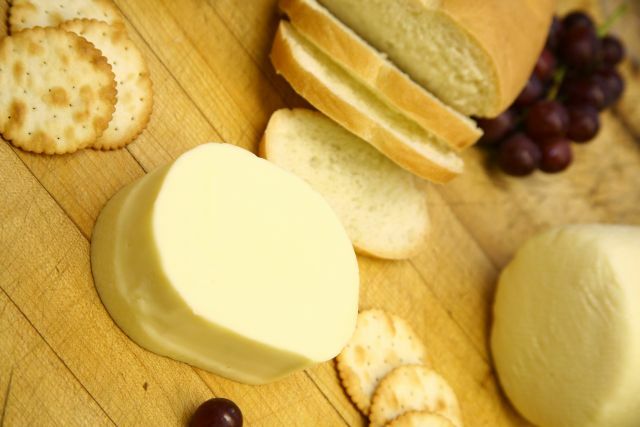 Cup Cheese is said to resemble the flavor of a French Brie. However, it is somewhat of an acquired taste. 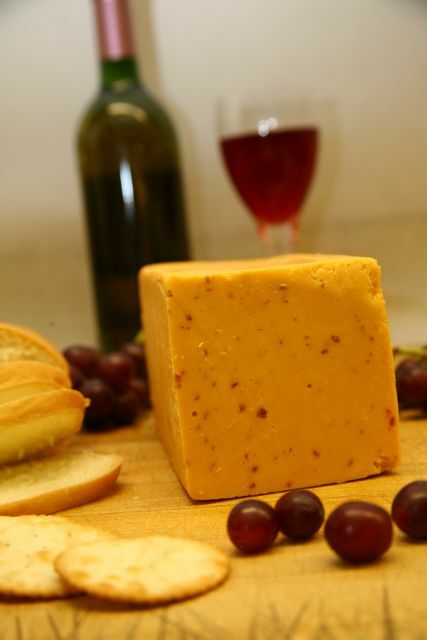 This is one of Lancaster's oldest types of cheese! Try a taste of Lancaster!